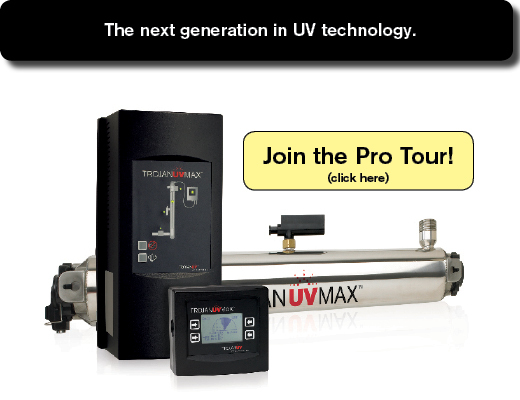 UV Max Pro 7 and UV Max Pro 15 have been replaced in 2008 with the new PRO 10, 20, 30 Ultraviolet units below. Bulbs and parts for the old Pro 7 and Pro 15 will always be available! Unlike many older chlorinator type bacteria systems that require the use of chemicals, the whole house UV Max series is chemical free! All UV Units come with bulbs. 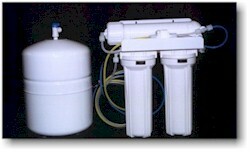 Eliminates bacteria and virus in your water supply! Bacteria free water at every tap. Units are shipped ready to install. Complete easy to follow installation instruction manual included with each water treatment system. Instructions include a 7 day technical support number 914-489-3068. (TROJAN DIRECT 800-265-5774) installation and maintenance support. The Trojan UV Max Series has a 5 Year warranty! The Trojan UV Max Pro 10 and Pro 20 have been tested and certified to NSF Standard 55 Class A. This is the only UV system to have met the rigorous requirements of this Standard. This is your assurance that TROJAN UV MAX will provide you and your family safe drinking water. 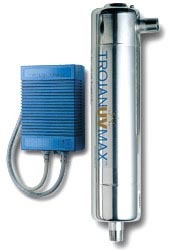 PDF Downloads Of Trojan UV Max Unit Specifications. For more details visit the NSF International website. LOWEST PRICE GUARANTEED. WE WILL MEET OR BEAT ANY ADVERTISED PRICE FROM ANY AUTHORIZED TROJAN UV DISTRIBUTOR. COMPANY MUST BE AN AUTHORIZED DISTRIBUTOR. The Trojan UV Max C4 includes many innovative and useful improvements. Trojan has increased the diameter on the steel chamber effectively slowing the water flow which gives the UV lamp more time to perform disinfection. A new lamp connector cable makes it impossible to power the lamp without it being inserted properly into the steel chamber. The new power supply used with the Trojan UV Max C4 offers some of the most useful product improvements. LED's on the power supply show that all system components are functioning properly. In the event of a system failure an audible alarm sounds and the power supply indicates the failed component with a red LED. This makes troubleshooting and repair of the Trojan UV Max C4 a breeze. The new C4 system also includes a very handy quick reference card that fits into a slot in the back of the power supply. This card explains all of the important aspects of installing and maintaining the UV system. 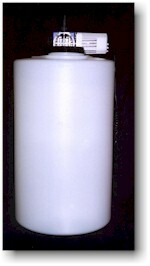 Dimensions 3.5" dia. X 19.5" ht. We will e-mail you your tracking number. Free technical support for as long as you own your system. home when UV unit is offline. NSF certified to 10 gallons / min. The new Pro Series products use a revolutionary lamp with twice the output of current high-output lamps. This gives you a compact single-lamp system that is half the size as the old units! CALL FOR YOUR BEST PRICE!! NSF certified up to 20 gallons / min. Elapsed time meter tells you how long lamp has been in service. Dynamic flow restrictor ensures maximum flow rate for optimal disinfection. The optional COMMcenter displays dose in real-time and can monitor up to 9 UV systems- that’s up to 270gpm! 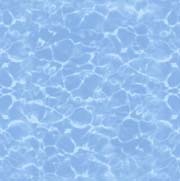 Our Website is designed to inform and answer any questions that you may have on our wide selection of water treatment systems. 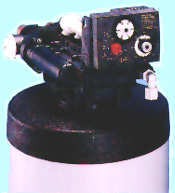 Each product page includes complete technical and pricing information. Shipping worldwide directly to your home or business. No waiting! Most water treatment systems shipped out in 24 hours. Water treatment specialists available for product installation support 7 days. 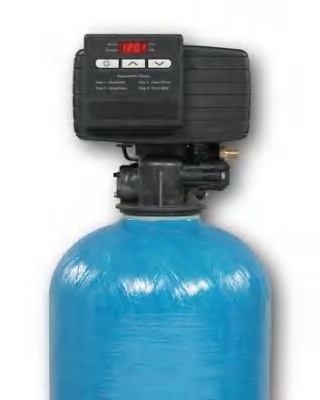 Complete easy to follow installation instructions included with each water treatment system. Technical support before & after each purchase. Free water testing for as long as you own your system. 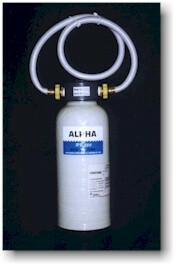 Large selection of Alpha Water Treatment Systems designed to provide quality water for you and your family. To order your new water treatment system(s): Call 973-293-7856. Talking to our specialists assures you of the right equipment with lifetime tech support. 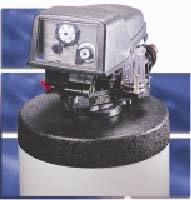 Great warranties on each water treatment system. We hope that you have a pleasurable experience browsing our selections, we think you will be pleased with our informational approach to doing business.